Today's card is another CASE'd project. 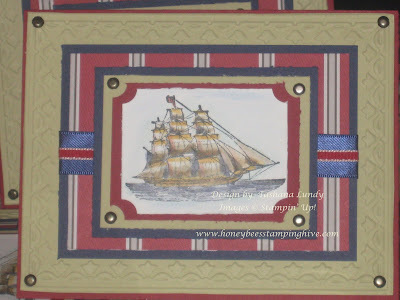 The design/layout for this card came from Lisa Hensley. 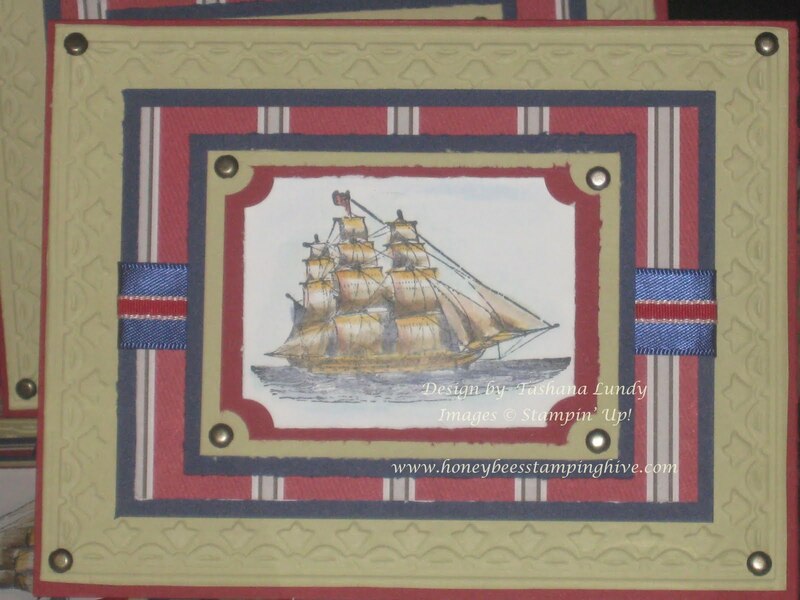 I love this stamp set "The Open Sea". I love the DSP even more. I was sad to see them get retired. I made several of these cards back in June for all the men in my life. This was their Father's Day card. Yes, I know I am a bit behind in my posting. Sorry. As always, Thanks for Buzzzing by.